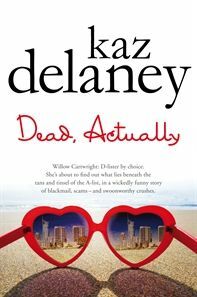 We were very excited to hear that the Favourite Paranormal Romance Title for 2012 was awarded to the YA title ‘Dead, Actually’ by Kaz Delaney. Thank you to Galaxy Bookshop for sponsoring this award. The award was presented by Allison Rogers from Galaxy and, at Kaz’s request, was accepted on her behalf by Paula Roe.